Climate change is an issue so big it can be paralysing. It doesn’t help with the paralysis that proposed solutions tend to be either hopelessly inadequate (change your lightbulbs! buy local! ), or hopelessly ambitious (just replace capitalism with global eco-communes!). Out of the Woods is a blog focused on research and theory; obviously, we think that’s important, but it does leave people asking, “OK, but what should we actually do?” In our view, the only meaningful way to fight climate change is to fight the people whose interests and choices are wrecking the climate. In that spirit, here are six ways to become part of the global movement against fossil fuels and climate chaos. From Elsipogtog to Balcombe, a movement Naomi Klein has dubbed ‘Blockadia’ is developing to prevent new fossil fuel extraction. In the case of Elsipogtog this is part of wider indigenous struggles for the land. These kind of struggles have been at their strongest when strong waged through alliances between local residents and environmental activists. 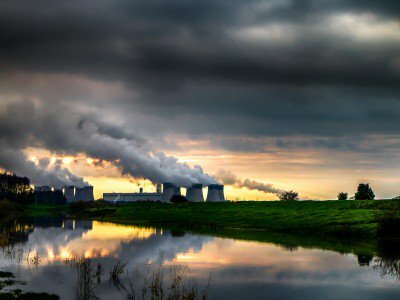 Potential ‘Blockadia’ flashpoints in the UK include the ‘new dash for gas’, stopping new coal coming online, and preventing road and airport expansion. With the government opening up large swathes of this country for fracking, Blockadia could be coming soon to a place near you. We think that divestment campaigns are unlikely to have much impact. This is because many fossil fuel companies are not publicly traded corporations. Those that are don’t typically raise investment capital through the stock market. That said, divestment campaigns may serve a movement-building function. They have been prominent in universities, where – in the other direction – a lot of funding goes from fossil capital to university research. There are also many cases of curricula tailored to the fossil fuel industry. Divestment campaigns could serve as a springboard to wider demands for non-cooperation with fossil capital. That could start to impact the development of new fossil fuel reserves. If the world is to avoid climate chaos, new reserves absolutely have to stay in the ground. In fact, at this point the best case scenario is probably mitigating climate chaos. Climate change isn’t a possibility that might happen in the future: it’s happening now and will continue. What we’re fighting over is how fast and how bad climate change will be. ‘Green syndicalism’ is a term coined by anarchist organiser-turned-academic Jeff Shantz to describe radical worker-based ecological organising. For example, in the 1970s the Building Labourer’s Federation in Australia implemented ‘green bans’ against ecologically-damaging projects, as recounted in the inspiring film Rocking the Foundations. Another example is the historic joint ‘Local 1’ of eco-activists Earth First! and revolutionary unionists the IWW, which organised timber workers against the destruction of old growth forest in northern California in the 1990s. Green syndicalist tactics include sabotage, workers tipping off external activists, and activists occupying work sites as a pretext for workers to down tools in unofficial work stoppages. Elements of these kind of tactics have been used in the UK, such as the McLibel Support Campaign linking up with McDonalds Workers Resistance in the early 2000s, and the occupation of the Vestas wind turbine factory in 2009, following factory-gate agitation by environmentalists. The basic tenet of green syndicalism is that the interests of capital are opposed to those of both workers and the environment. This provides a strong basis for a ‘red-green alliance’, to counter workers and environmentalists being played off against each other in a capitalist ploy of divide and rule. From Brazil’s Passe Livre movement to the Yorkshire freedom riders, movements for free public transport have a lot of potential for ecological struggle. There’s little need to burn fossil fuels to get around cities – if the right transport and energy infrastructure is in place. Likewise, intercity transport is much faster and cleaner with a proper public transport infrastructure. Since the Beeching Cuts of the 1960s, the rail network has been scaled back in favour of car use, which itself requires a large and expensive public infrastructure. Anti-car activism briefly flourished in the UK in the 1990s with the Reclaim the Streets movement. Opening up mass struggles for public transport also offers opportunities for alliances with transport workers – such as fare strikes/free rides, as pulled off by a collaboration between Occupy Wall Street and rank-and-file transit workers in NYC in 2012. Climate change plays an underlying role in conflicts, with one study implicating drying and drought in the stresses contributing to the Syrian war. This will continue and probably worsen. Our likely future will involve more Katrina and Haiyan-scale storms, coastal flooding, and prolonged droughts. As a result, tens of millions of people may be displaced over the coming centuries. Reactionary ecology offers a well-rehearsed trope – lifeboat ethics – for condemning refugees to death. This is the state’s default setting: witness plans to bomb Libya (again) to prevent refugees fleeing the war there. As the Sahara expands, the Mediterranean will become a (bigger) mass grave unless borders are opened and real solidarity is developed. Today, this can mean simply writing to detained refugees or supporting groups like the Anti-Raids Network. Know your rights, don’t walk on by: send immigration officials packing, or attempt to block deportation of refugees. Xenophobia is ascendant now, but solidarity we offer today is also part of the long game, serving as anti-fascist inoculation. 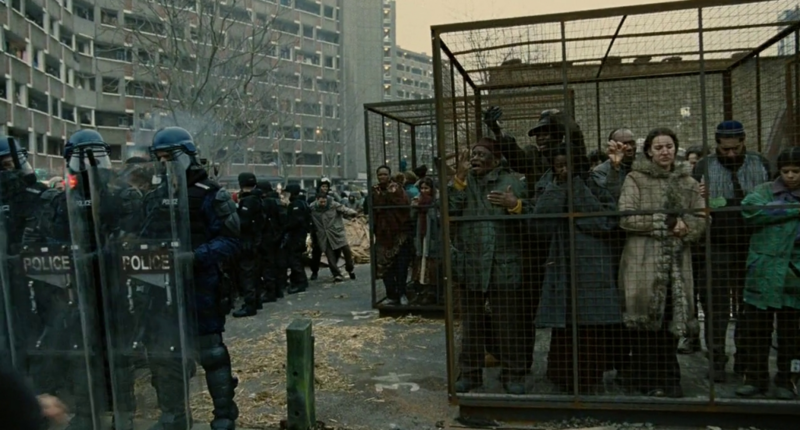 The alternative looks like the dystopian world of Children of Men. The Black Panthers aimed for what they called ‘survival pending revolution’, with mutual aid programmes like free breakfasts. Climate change adds a planetary aspect to that slogan. Business-as-usual puts the climate on course for average global warming of 4-6°C by the end of the century. The consequences of such unmitigated warming will very likely be a shift from a generally hospitable planet with a few uninhabitable zones (such as the Sahara desert), to a much more hostile planet with limited zones of habitability, with those habitable zones at greater risk of so-called natural disasters. But disasters don’t preclude mutual aid – in fact they often demand it. The anarchist-inspired Occupy Sandy relief efforts were only a more consciously political instance of the near-ubiquitous solidarity we have seen in the wake of disasters. With the cutbacks to the remains of the welfare state, finding ways to support and care for one another is a vital (eco-)political project today. Supper clubs are one possibility. Organising around fuel poverty – while linking it to the need for renewable energy – is another. The ‘solution’ to climate change proposed by the rich and their governments amounts to a global Katrina, with the affluent retreating to the high ground and leaving the rest of us to fend for ourselves amidst the ruins. This means survival projects of mutual aid will become increasingly important in the 21st century. Originally published 3rd June 2015 at NovaraWire, republished under a Creative Commons Attribution-ShareAlike 4.0 International License. Like it too! The only way out is a successful revolution against the bourgeoisie and its economic and political system that exploits not just the working class but the planet itself and all the life it supports, including the seas and the forests. Not sure though that this is the kind of revolution the Black Panthers had in mind, but could be wrong. Decent article, and I have a lot of love for green syndicalism. Really worth checking out the work and actions of Judi Bari and the collaboration between the IWW and EF! in the US. I'd never heard of Fuel Poverty Action and I'm pretty intrigued by how it understands itself to be an ecological struggle. It got me thinking about how people only have a relationship to the biological world and processes when the latter are in the commodity form, and how, in a couple of their previous posts, OOTW rejected appeals to the future. All this just has me thinking of how, in the commodity form, the process of fetishizaztion reproduces the present as a permanent and natural condition, and how Marx theorized that this can only be abolished in practice through a process of immanent critique. Divestment is a hopelessly misguided demand. What might be more worthwhile imo is for campaigns on college campuses requesting the funding of programs that would promote renewable energy. For instance a program that would install solar panels for free in small communities where people have trouble paying their elecetricity bills. In addition to promoting sustainability and helping people with their lives, part of the program could be to actually have students be paid to plan the installation of and actually to install the solar panels in coordination with people who live in the area the solar panels are being installed in. just a thought. Anyway I cant imagine anything more uselss than demanding divestment. If something is heavily promoted in the big business funded media like the Guardian, it's almost certainly a scam. Cap and trade (needs global warming) may be the biggest transfer of wealth from poor to rich in history. Are you saying cap and trade is a scam? (plausible). Or global warming? (tinfoil).